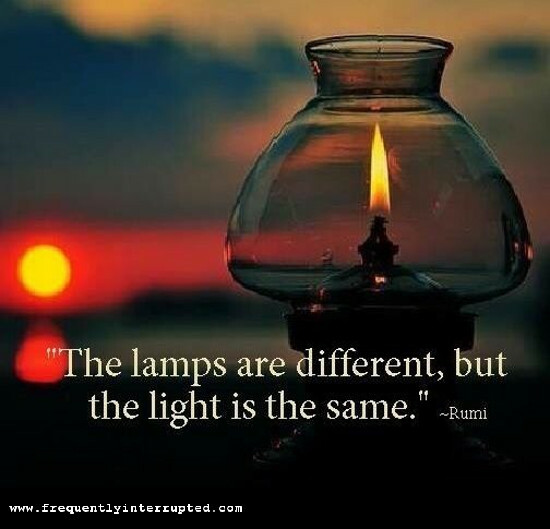 We have different lamps, different guides, different teachings, but love is love. If you are teaching love, you are adding light to the world, and this world could use more light. Raise your lamp high, whether or not it is the same lamp as your neighbor's, and let the world see love added into love.